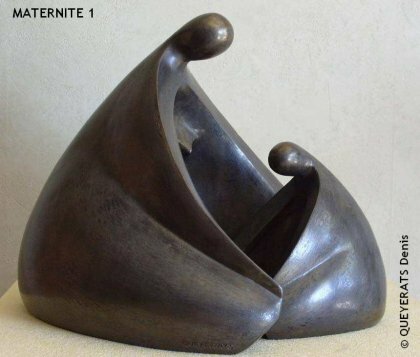 Sculptor in Montpelier, Denis QUEYERATS exposes(explains) us his passion and his artistic step(initiative) through his virtual gallery of bronze sculptures, skated terra-cotta or still resin. His(her, its) main subject remains that of the woman in the purified forms everything in curves, sweetness, curvature and sensualism. The present works of art on this site are subjected to the capacities(measures) of the various national and international legislations on the protection of copyright. Any reproduction or use of the works of this site is forbidden without authorization of the contemporary artist Denis QUEYERATS.